There is a science, - or perhaps it would be better called a field of inquiry that is known as 'cymatics'. Cymatics is the study of visible sound waves and vibration. If you've followed my blog for awhile, one of my first posts as I was working out all of the mechanics of getting a blog started, was about Cymatics and a gentleman named Evan Grant, who is making sound visible through different mediums. The brain is a pattern-seeking device, and in other blogs, I've talked about that at length. Neuroscientists tell us about the pattern seeking propensity of the brain, and the work of researchers in the realm of 'Cymatics' has given some interesting possibilities for the connections between sound and symmetry. Patterns and symmetry are at the heart of art, and architecture, and music throughout history. Dr. Gordon Shaw taught us the significance of musical patterns and brain-waves. In his book 'Keeping Mozart in Mind" Dr. Shaw, discusses his work with music and the brain, and the amazing ability of the brain to seek and recognize patterns and symmetry. His work led him to the music of Mozart, and the parallel patterns of brain waves, and musical symmetry. I have no doubt that mathematical relationships are the common denominator for all of this. Even today when art forms consciously seek to avoid typical patterns, that is in itself an acknowledgment that patterns are basic to our human make-up. My interest in cymatics is as a result of observation, and necessity. The necessity was that of getting the attention of hundreds of students each day, in 7 separate class periods, and focusing them on our reason for being together - that of learning music. After years of polishing the various aspects of my craft, I came to the conclusion - through observation and an awful lot of experience, that the first few minutes of each class were absolutely critical with regards to the success of any class. No matter how I prepared for a class, the classes that got off to a good start accomplished more, made better use of the time available, and were much more satisfying and productive than classes that began disruptively, or in sullen silence with zero interest level. I tried a number of focusing techniques - but the one that worked far better for me than any of the rest was that of utilizing my computer, the iTunes visualizer, and a projector. My technique was to have music specially chosen for each class playing as that class came in. In concert with the music, was the iTunes visualizer which took various aspects of the music, and turned them into patterns which I then played for the students on the sound system and the overhead projector accompanied . Admittedly, this is not very precise, and only an approximation of cymatics, but the visualizer makes at least some of the the symmetry of sound visible through a matrix of volume and frequency data taken from the music being played. The video above is an example of this. In this video, I've used a piece that I wrote for the advanced band at one of the schools that I taught at, but for my music classes I would play specific pieces that went with their lesson for the day. For the lower grades, It would often be tracks from Conversational Solfege. In the upper grades, it would be music from the "Composer of the Month' that we would be studying, and in the middle grades, it was Music of the Masters. This visual and aural barrage of sensory information as the students entered my room immersed them in music class immediately. Students didn't have a chance to focus on anything but music class. There were too many interesting things going on in Mr. Zells class to waste time. That really was the mind-set of the students. The visualizer music was always around 3 minutes long, so very little class time was ever taken for the process, but the benefit was enormous in that all of the students would be focused, and ready to learn at the end of that time. 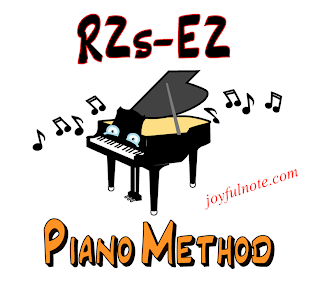 In the piano classes, which I am discussing in my Teachers Corner blog, the visualizer/music was followed immediately by the video flashcards. This back-to-back sequencing of material in a fast-paced manner kept the attention of the students, and carried that focus from the "music video" as they called it, to the lesson material without any loss of time, or focus. What were the students thinking when they were watching and listening to the visualizer / music. That was absolutely clear. Their imaginations were stimulated. Comments from the students were always about ' that looks like .....', or that reminds me of....., or that makes me feel...... Dr. Victoria Stevens has a great deal to say about the importance of giving students an opportunity to exercise their imaginations. I don't know the neuroscience of it all, I just think that the visualizer is a rough approximation of whats happening in 'cymatics' and - oh, by the way. - during all of this time, the classes were immersed in - music - imagine that!